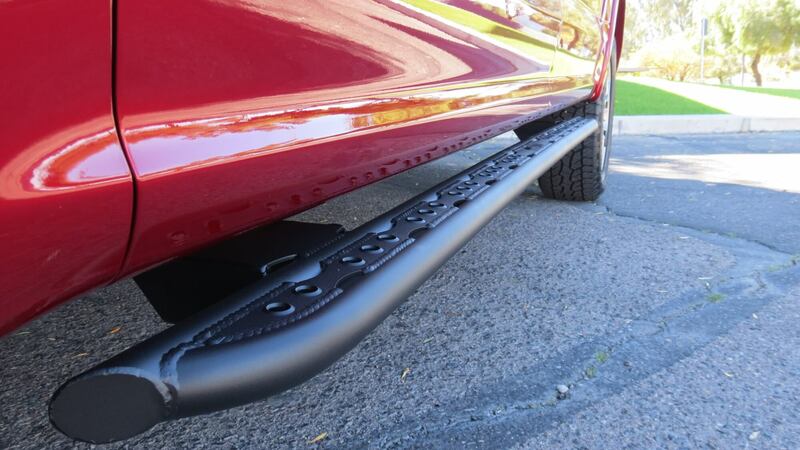 As far as upgrades for your Nissan go, side steps, and their close mates – running boards are kind of special. They’re part of the small group of aftermarket upgrades that can bring both real practical use and high-level aesthetic appeal to your Nisan. For that reason, investing in the best Nissan side steps you can find can be extremely beneficial to the comfort and protection of your vehicle. But how do you find the best side steps available? Well, there are a few important factors to consider, here are some of them. The first thing is the construction material. The most popular materials Nissan side steps are made of include aluminium and stainless steel. While there are other non-metal materials available as well, they typically don’t have the strength and durability that stainless steel and aluminium do. Now the choice between stainless steel and aluminium can vary depending on whether you want the side steps to be lightweight, or if you want them to be more impact-resistant. Aluminium is the lighter option, while stainless steel is the more durable one. Steps made of both of these options are relatively easy to maintain. Then, you have to consider the stepping pad material, which is just as important as the construction material. Plastic is a common choice that’s used for manufacturing stepping pads, and rubber can be found on more high-end models. Rubber is the superior option because it provides plenty of grip, which makes it the best solution for people who live in areas with poor weather. Furthermore, consider how wide you want the side steps to be. The extra width provides more protection and a wider area for your feet to step on. The downside is that wider boards can restrict your access to the underside of the vehicle, and you might need car ramps or a high-lift jack to elevate the vehicle if you want to work on it. But regardless of what kind of side steps you end up installing, you’ll get the main benefits which are step up assistance in and out of your Nissan, bodywork protection on the sides of your vehicle, and an improved aesthetic appeal. Some side steps focus on some benefits above others, so you have to decide what matters to you more. Some are subtle and look to accentuate the Nissan’s design or paintwork, while others are bulkier and grab more attention. However, the bulkier ones usually provide more protection than the more subtle models, so choose according to your needs.